CH Systems was commissioned to purge the gas main that previously served the McDonald’s restaurant in the South Terminal at Gatwick Airport.  The gas pipe ran about 30m in length and upon completion of the work, we were able to issue the necessary certification of safety. The team at CH Systems is proud to have contributed to the restoration work done on the Hastings Pier, which has now opened to the public. The pier is a grade II listed Victorian landmark that was originally built in 1872 and was severely damaged by fire in 2010. We were commissioned to ‘fit out’ the visitor’s centre and all the Below Deck Services at Hastings Pier, which included the installation of an Air Source Heat Pump to provide the heating and hot water within the visitor’s centre. The project was completed successfully by our team while making sure to take caution at all times.